You are here: Home / Skincare / The Many Types of Exfoliation! The Many Types of Exfoliation! In skin care pH refers to how acidic or alkaline your skin is. Introduced back in the early 1900s, pH stands for “potential hydrogen” and is used to describe the acid-alkaline ratio of a substance, which ranges from 0 (the most acidic) to 14 (the most alkaline). Our body maintains a very specific balance of acidity and alkalinity, an off balanced pH could be a cause of rapidly aging skin, acne, and inflammation. Our skin has a protective barrier called acid mantle, it formed by secretion from sweat and sebaceous glands and breakdown of fatty acids by microflora. Acid mantle helps our skin by keeping in lipids and moisture while blocking germs, pollution, toxins, and bacteria. Being more acidic helps the skin to reduce bacterial growth thus the skin is most naturally balance is 5.5. Typically, this form of exfoliation can cause a inflammation within the skin in too much pressure is applied to the skin. Time rather than pressure is the best way to use a mechanical exfoliant. On the face, scrubs should include ingredients that are gentle and round such as spherical jojoba beads. Stay away from harsh products like apricot, sugar, salt, nut, seeds scrubs that can cause microscopic tears and inflammation in the skin they okay for the less sensitive parts of your body like your feet. Mechanical exfoliation is not the best choice for acne, sensitive, rosacea, or compromised skin.. A more aggressive but effective approach to mechanical exfoliation is micro-dermabrasion. This is where a small, vacuum-like tip shoots a jet of little abrasive crystals (usually aluminum or magnesium oxide) onto the skin and then vacuums them off. Crystal-free or diamond tip, and hydra versions are available. Depending on the setting and pressure, you can achieve different depths of exfoliation. Micro-dermabrasion can help refine pores, improve the appearance of acne scars, and help even out blotchy, thickened and sun-damaged skin. It can also be harsh when overdone – or when done too often it should always be preformed by a trained professional. One of the most common types of exfoliation is done with alpha hydroxy acids (AHAs) and beta hydroxy acids (BHAs). Both work by gently dissolving the outermost layers of skin, therefore encouraging cellular turnover and bringing new, healthy cells to the surface. The difference between AHAs and BHAs is their solubility. AHAs are water soluble and do not penetrate as deep within the skin, while BHAs are oil soluble and often penetrate much deeper. In general, AHAs are good for eliminating dead skin cells on the surface that result from sun damage, while the oil solubility of BHAs make them better for clearing up clogged pores. Both AHAs and BHAs can be used in a variety of different delivery forms from serums, weekly exfoliants, and professional chemical peels. What separates their performance is the acids percentage, and pH. The percentage can tell you the product’s strength, while the pH tells you how deep it travels. The pH scale is numbered from one to 14, with one being the most acidic and 14 being the most alkaline. Pure water is considered neutral with a pH of seven, while our skin has a pH between four and a half and six. Since AHAs and BHAs exfoliate skin due to their acidic component, pH is critical to their performance. Glycolic acid – Derived from sugars and one of the most common AHAs. It is appealing due to its small molecular size and multifunctional approach on the skin. It is effective at controlling sebum production. Lactic acid – Derived from milk and sugars. It is probably the second most common of the AHAs. It is considered to be a gentler alternative to glycolic acid due to its larger molecular structure. Lactic acid not only helps soften rough skin by breaking the bonds of the desmosomes, it is also an antimicrobial that is being seen more often as a preservative in natural products. This acid can also increase hydration, inhibit pigment and adjust pH. Citric acid – Derived from citrus fruits and corn. While vitamin C is typically considered a class of its own, it technically belongs to the AHA family. This AHA is also an antioxidant that is used to help brighten the skin and increase epidermal thickness. Malic acid – Derived from apples and green grapes. This acid is a multifunctional AHA that also acts as an antioxidant and humectant. It is soothing and beneficial to sensitive skin types that cannot tolerate glycolic acid. Mandelic acid – Derived from bitter almonds. This AHA is comprised of a large form molecule that allows for slow and even penetration. Exfoliation with mandelic acid is more gentle and delicate for sensitive skin types. It helps brighten discoloration and contains antibacterial properties that are helpful in acne control. Tartaric acid – Derived from grapes and cranberries. This AHA is actually a by-product of the fermentation process that takes place while making wine and is used as an antioxidant. Do not apply AHAs and retinols together at the same time. I recommend if you chose to use both to use the AHAs during the day with sunscreen (as with retinol your skin becomes sensitive to the sun and can burn easier.) Using AHAs with retinol at the same time diminishes retinols effectiveness as well as using retinols during the day; the sun breaks down retinol. The best time to use retinol is at night. BHAs function and perform similar to AHAs. Salicylic acid is a BHA derived from willow tree bark, wintergreen oil and sweet birch that was used as an anti-inflammatory in ancient times. Since it is lipophyllic (attracted to oil) in nature, it has the ability to penetrate through the oils in the skin and clear out follicles of excess debris and skin cells, making it especially effective in the treatment of acneic skin conditions. Salicylic acid tends to be less irritating to some skin types and may be a good alternative to those who have not tolerated AHAs well. The term retinol can be confusing because it is typically used interchangeably with other words in the vitamin A family such as retinoid and Retin-A. An extremely effective cell communicating ingredient, retinol can connect to almost any skin cell and tell it to behave like a healthy, younger cell. It can also act as an antioxidant that interrupts free radical damage. In many different ways, including exfoliation, retinol can help manage acne, discoloration and wrinkles. Retinol is the entire vitamin A molecule that can be broken down into more potent compounds called retinoids. To clarify, retinol can be included in any cosmetic product and does not require a prescription. Forms of retinol include retinyl acetate, retinyl palmitate and retinaldehyde. When any type of retinol is absorbed into the skin, it is taken in that form, broken down, and eventually converted into retinoic acid. Retinoic acid is the compound that actually affects the skin, but it is also the most irritating, which is why it requires a prescription. Prescription retinoids include retinoic acid, adapelene and tazarotene. Enzymes are a necessity for life and for every cell process in the body. Naturally in the body, they are catalysts which cause a chemical reaction to happen, slow down or speed up. For example, enzymes break down waste products that are present from an overproduction of collagen. Enzymes used topically are commonly derived from different fruits and plants such as pumpkin, pineapple and papaya. Papain and bromelain are protein dissolving enzymes that dissolve the keratinized layer of skin. 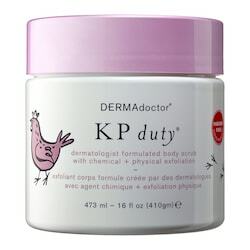 Their job is to gently digest dead skin cells by dissolving cellular debris and cell buildup. They leave the skin softer, clearer and more receptive to any topical product applied. Enzymes tend to be a gentler alternative to exfoliation within the skin. A peptide is a chemical compound that is composed of a chain of two or more amino acids which are usually smaller than a protein and can be alike or different. An exfoliating peptide reactivates the natural desquamation process of the skin. Similar to AHAs, this peptide competes with the bonds between dead cells at the surface of the skin. Skin renewal, hydration and smoothness are enhanced after using this peptide. « Milk of Magnesia Great Mask For All Skin Types – Including Sensitive!